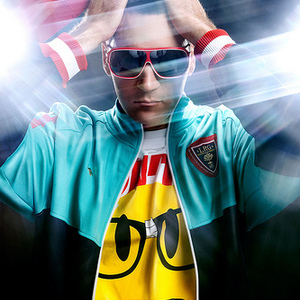 KJ-52 (Jonah Sorrentino) is a Christian rapper from Tampa, in Florida. He was born on June 26, 1975. He's known for two songs addressed to another rapper, Eminem. The name stems from "KJ," which was an abbreviation of his old rap name (King J. Mac) and according to KJ, also stands for "knowledge and justification. "52" (pronounced "five-two") represents the miracle of the five loaves and two fish as told in the Bible. KJ-52 feels he is spreading the word of the Lord in much the same way Jesus shared the food in the story. KJ-52's song "You're Gonna Make it" was played at the end of Cold Case Season 5 Episode 8 "It Takes a village." He rapped in the Newsboys version of Jesus Freak alongside, and had a part in TobyMac's remix of One World. He has been rapping since 1993 (age 18), and his current label is BEC.